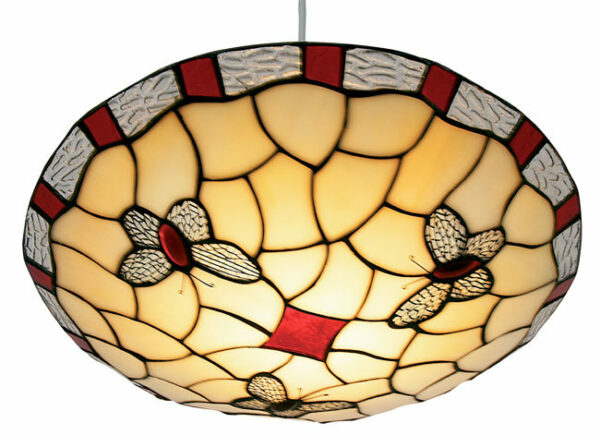 Non electrical tiffany ceiling pendant lamp shade that will easily fit to your existing lampholder. Rich Cornish cream with red center glass inset. Red beaded butterfly with leaded wings. Trimmed with a clear rippled glass and red glass surround.